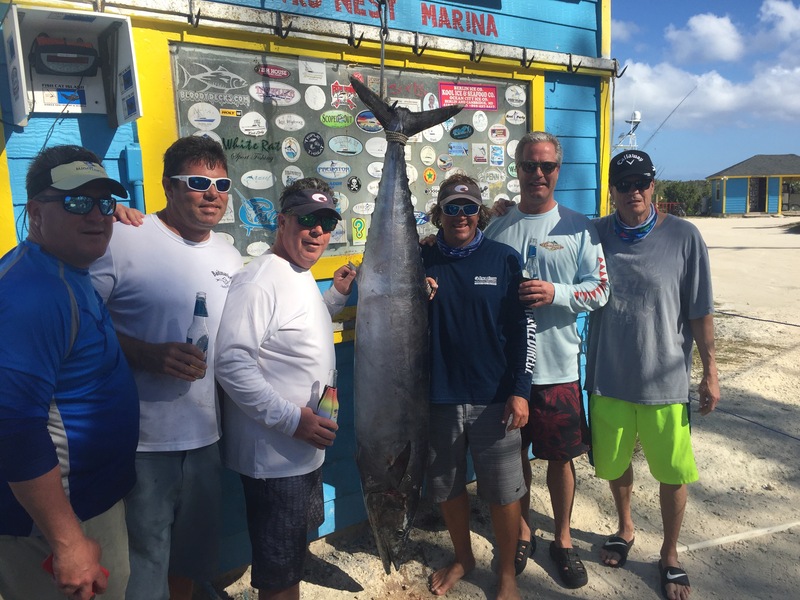 The last day of the Hang Em High Meat Fishing Tournament we made the run to the SE Corner of Rum Cay. This was a strategy call as the 2nd Place boat that was close to our overall points had been consistently doing well there the past two days so we decided to battle it out next to them. The weather was beautiful for the ride! 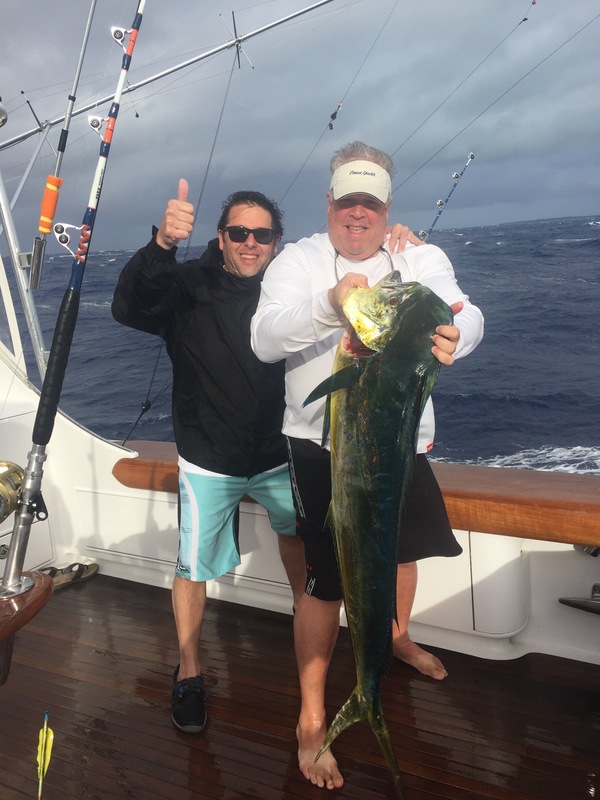 We got there and got a mahi right away and then had a nice yellowfin tuna on but that was sharked. 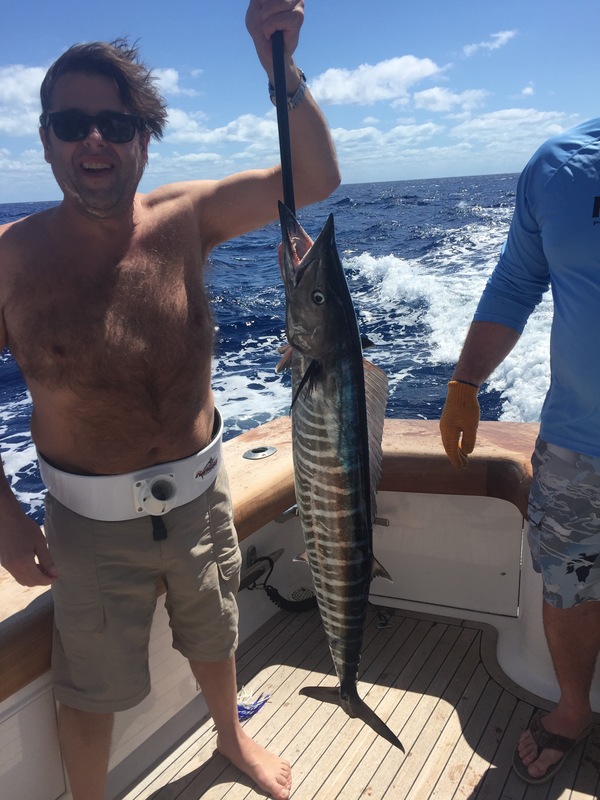 The morning was very slow but in the afternoon the action picked up as we got a couple of wahoo bites and also pulled the hook on a white marlin. We did catch another dolphin but tough day of fishing for us with some bad luck pulling hooks on wahoo. 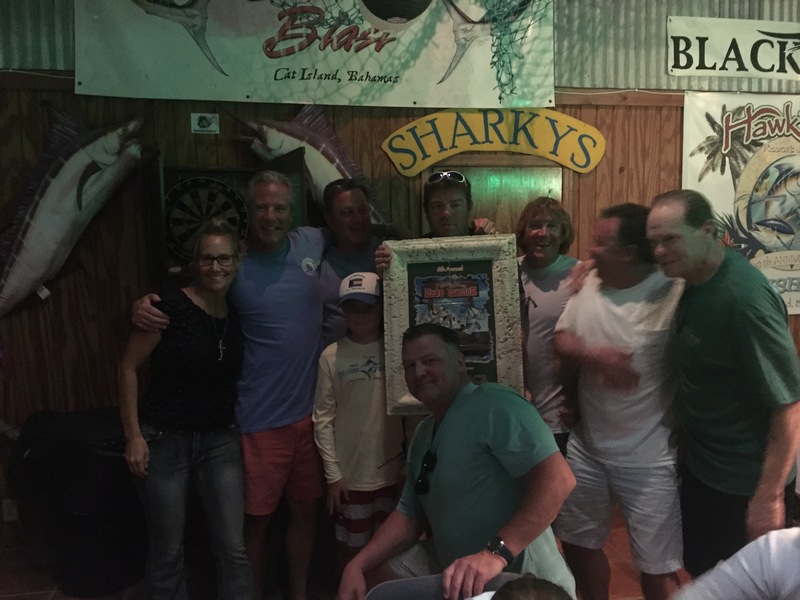 Luckily for us, fishing was tough for everyone so we ended taking First Place in the Hang Em High. Great way to start the season here in Cat Island! We decided to make the run to San Salvador searching for a monster wahoo and hopefully a good tuna. The seas were still large with winds at 15-20 out of the NE, but Exile65 was able to make her way through the sea. 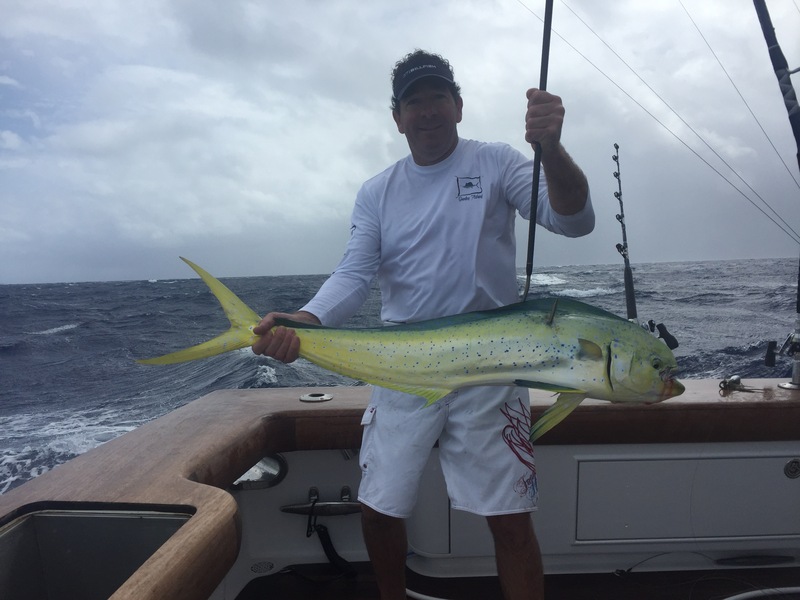 We got a double header of mahi right away and then it went silent. Mid day the right rigger popped but no hookup. I jogged it a few times and WHAM! A nice wahoo piles on the black and purple Ilander Flasher. After a screaming run we were able to get line back and after two hard digs boatside we sunk the gaff into the nice hoo. I called Joe down from the bridge after we got the second gaff in it and we hauled her over the side. 100 pounder easy!!!! We were AMPED. We picked at two small tuna and then started to run back to get close to home in case of a possible mechanical issue. We didn’t want to miss the scales with this fish. On the way we came across a weedline with some debris in the deep and we pulled 4 nice gaffer dolphin off of it. Great day of fishing and the wahoo tipped the scales at 106 pounds. Today we still had rough seas with the wind at 20-25 knots out of the NE, so we stuck it out in Cat Island. The morning was slow and we pounded it out all day on Columbus Point hoping to snag a wahoo. Mid day the action picked up a bit as we picked at some small tunas and a few gaffer dolphin. Early afternoon the left long went screaming and there she was, a 300 pound blue marlin leaping all over but she double back and popped off. Bummer, but it wasn’t what we were after anyway. We managed to get a 21 pound mahi and a 6 pound tuna to start the tournament. Not what we were looking for but something to start with… Two days left. 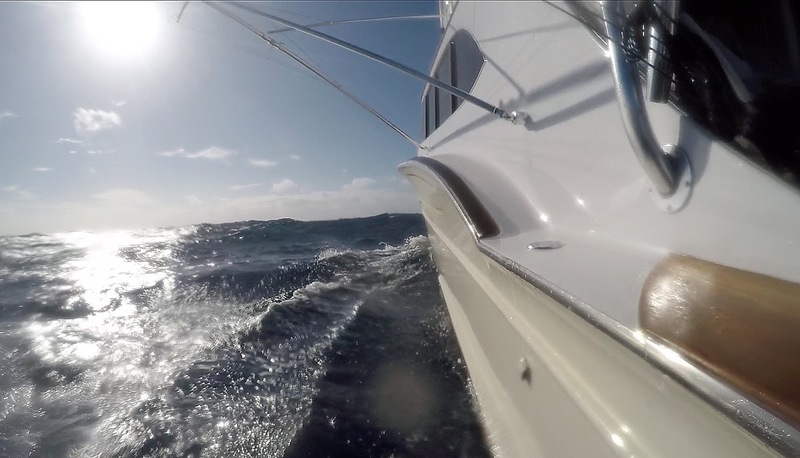 We fished out of Cat Island with a 15-25 knot ENE wind today. The water was pretty blue and 77 degrees. We decided to try billfishing today to see what we could find. We managed to pick up 6 gaffer dolphin and managed to slip a few small tunas passes the sharks. The fish were spread out overall but he best of it was down near Columbus Point. We had plenty of tunas get sharked there as well. We are off for tournament prep on Sunday and fishing the Hang Em High Meat Tournament here in Cat Island Monday-Wednesday. Today we had 20-30 knot winds out of the east and scattered rain showers throughout the day. We made our way out a few miles and got on the troll. The day started off great with 3 gaffer dolphin with the biggest weighing 29 pounds. We made a few more passes but no more action. We managed to slip a 10# yellowfin past the Sharks which was a nice surprise and caught 2 more gaffer dolphin mixed in while weeding out a few barracudas every so often. Later in the day we got the bite we were looking for with a wahoo screaming off line from the right long rigger, but unfortunately the hook pulled. Back at it again tomorrow with the plan to target Billfish. Hopefully there are a few hungry ones around for us. We spent the last couple of days working our way over to Cat Island for the Spring Season. We fished the Bridge on Wednesday and ended up getting a wahoo and a mahi. The weather was perfect but the fishing was rather slow. We did a little snorkeling on a few pieces of reef in the afternoon then we anchored out overnight and got into the yellowtail snapper good and it was all you wanted! Very fun night of fishing. Thursday morning we picked up the anchor and trolled the bridge in the morning in the 77 degree blue water. 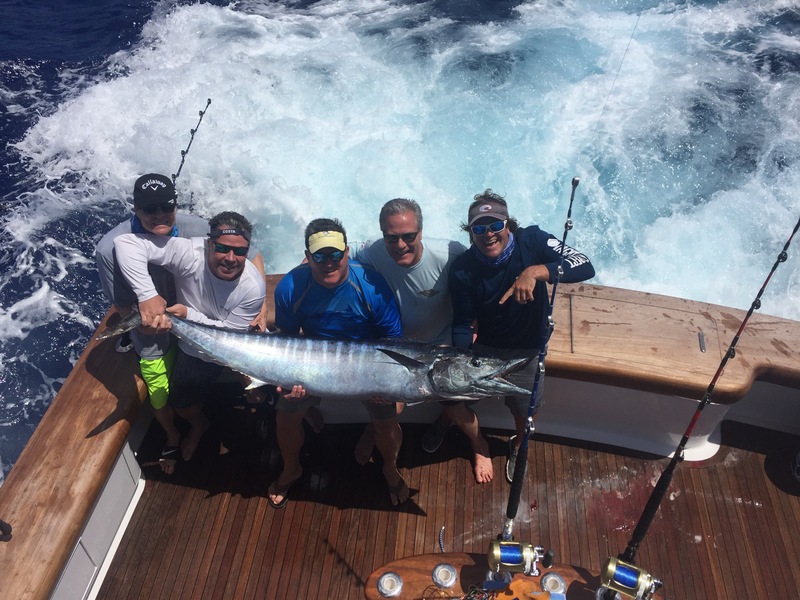 We got a blackfin tuna and a mahi but with no signs of life we picked up and ran to Alligator Point and did manage to get a wahoo there before making our way into Hawk’s Nest Marina in Cat Island. After a quick 6 days here in Palm Beach, Exile 65 is loaded and ready to go and we are Bahamas Bound today. We are headed to Nassau tonight and will start fishing Wednesday on our way to Cat Island where we will be fishing over the next two months. Plenty of fishing reports to come…!